Living in a holiday atmosphere! The sunny light, space and comfort can be found in this detached house with 4 bedrooms and 2 bathrooms. Also sunny garden and parking possibility for 2 cars. Living in bustling mountains, the village of forest, beach and dunes and socializing (cafes and restaurants). But also within walking distance of the European school. 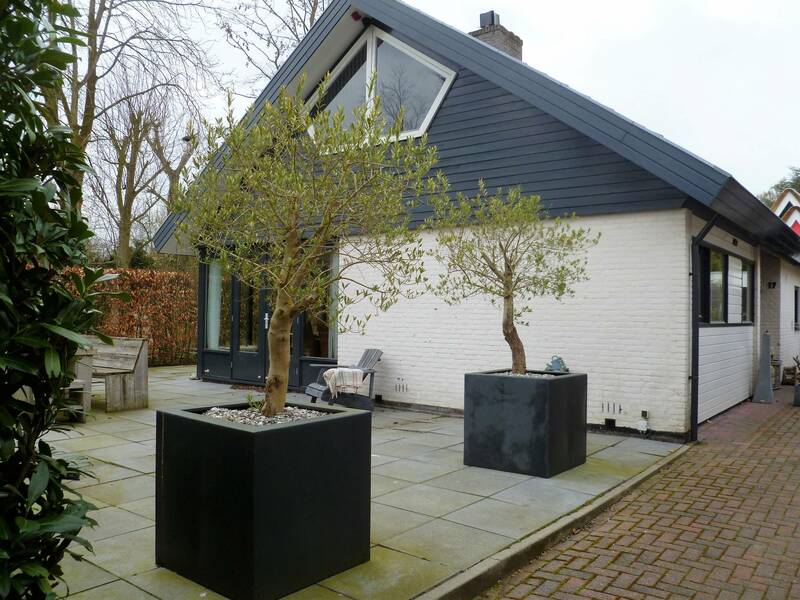 Near Alkmaar (4 km) and also a good distance from Amsterdam and Schiphol about 45 minutes away, also easily accessible by public transport. In short, all ingredients to have a relaxed atmosphere at home from work. Entrance on the side of the house. Hall with open staircase to 1st floor and access (left) to the spacious and bright living room and open kitchen. The kitchen is spacious, modern and in a corner arrangement and is equipped with all built-in appliances such as a separate microwave and separate oven, dishwasher and induction 4-burner hob. It also has a cozy bar table with stools. The kitchen flows into the L-shaped light living room with sliding doors to the garden, where you can enjoy the fireplace on the cozy lounge corner sofa. Also on the ground floor is from the hall on the right, the master bedroom (3.50 x 3.70) with access to the luxurious bathroom with bath, walk-in shower and washbasin. Separate is a toilet on the ground floor and in the transition from home to storage room is a handy wet room with a small kitchen with sink and washing machine and dryer. From this room you can walk on to the storage room and to the garden that surrounds the house> so there is always a nice place in the sun. There is also an attractive veranda with 2 heaters at the rear of the storage room. The front garden has the sun in the morning and the back in the afternoon. There are three bedrooms on the first floor; of which 1 spacious room (4.55 x 4.25 - corner of 1.74 x 0.8) at the front and the 2nd spacious bedroom (2.6 x 4.55) at the rear, both with 2 person bed and sufficient cupboard space. In the middle a bedroom (3.05 x 2.27) which now has a desk and a second bathroom. The bathroom has a shower, sink and a 2nd toilet. - Rent is excluding energy costs, TV, internet and local user costs. - The house is equipped with a water softening system. - Both furnished and unfurnished (without furniture) possible in consultation.